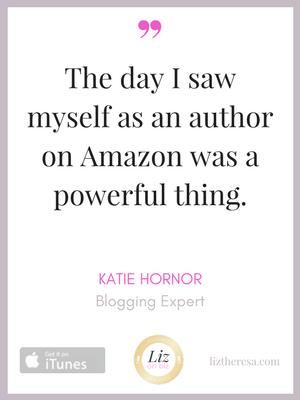 Katie Hornor speaks internationally at online business and educational events, and is the author of more than 40 self-published books and courses for children and adults. 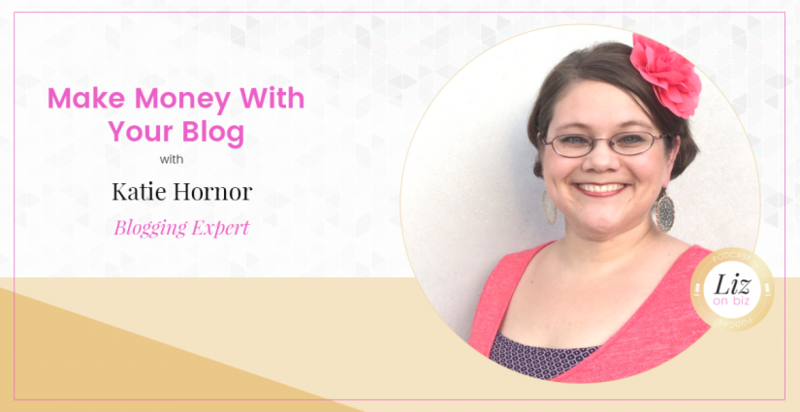 As the founder of BloggingSuccessfully.com, and The Blog Connection, Katie coaches women to make a business of their hobby & attain freedom with online income stability (from anywhere). BloggingSuccessfully.com – Use this link PLUS coupon code LIZONBIZ to get $10 off your first month of the program. [2:10] – Katie’s journey (international journey) to launching her first business. 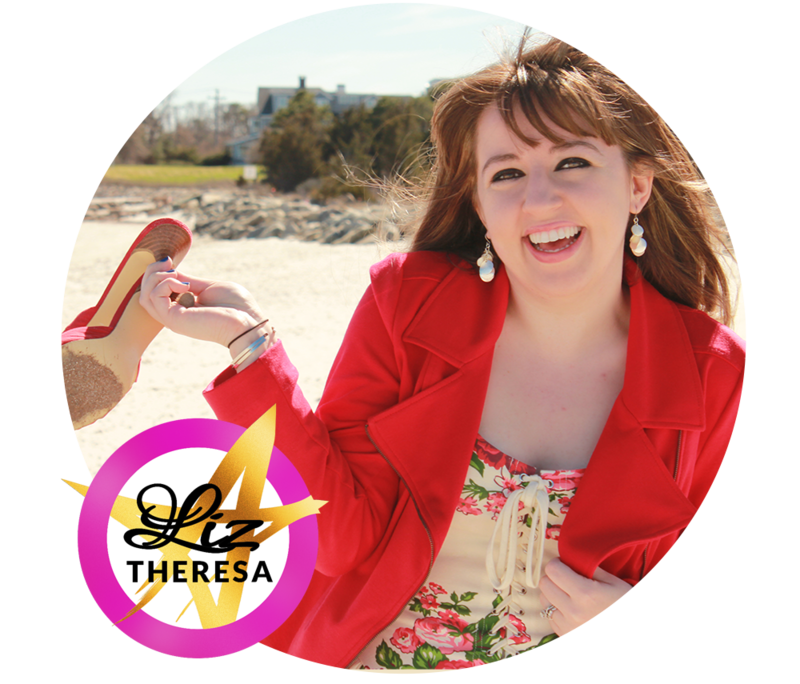 [5:05] – Her homeschooling businesses – why she created them and what they led her to. [8:10] – Going fulltime with blogging income in 2014. [9:30] – Her faith and her business – how her faith influences her life as an entrepreneur. [11:30] – How she found her first coaching clients. [13:05] – The success of using Facebook groups to convert warm leads into private clients. [15:30] – Tips for maintaining engagement in your Facebook groups. [19:19] – Launching her membership product. [23:00] – If you’ve been asked a question three times, you know your people want the answer to that question AND you know you’re a trusted authority about that question. [27:20] – Affiliate income tips! [29:50] – Email marketing and relationship marketing.